About the Talk: There is always something more to learn about the practice of sustainable design. Perhaps one of the best opportunities to learn--and shape--best practices is to engage with the makers of design tools. In this talk, we get a breezy and deep overview of the thinking employed by Autodesk to enable sustainable design. 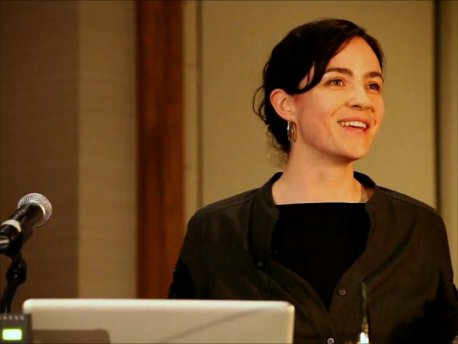 About the Speaker: Dawn Danby has spent over a decade working in sustainable design on projects that have ranged from a tree-covered pedestrian bridge on the US-Canada border to closed-loop manufacturing strategies, furniture and food distribution., Recognized by Fast Company in 2009 as one of the 100 Most Creative People in Business. Co-authored WorldChanging: A User’s Guide to the 21st Century. She currently works with Autodesk’s sustainability team to integrate ecological and human impact considerations into the digital tools used by 10 million designers, architects and engineers worldwide.